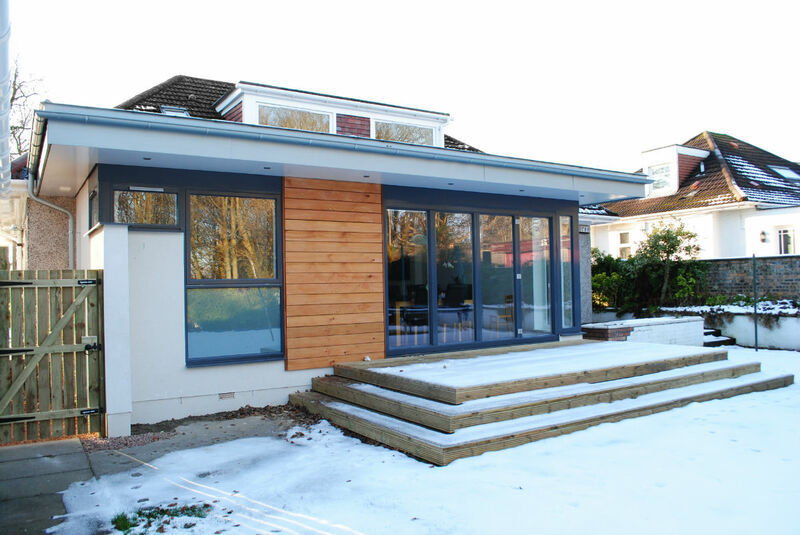 Our client’s brief was simple: create a bright, spacious, open-plan extension to the rear of the house for new kitchen, dining and living accommodation. 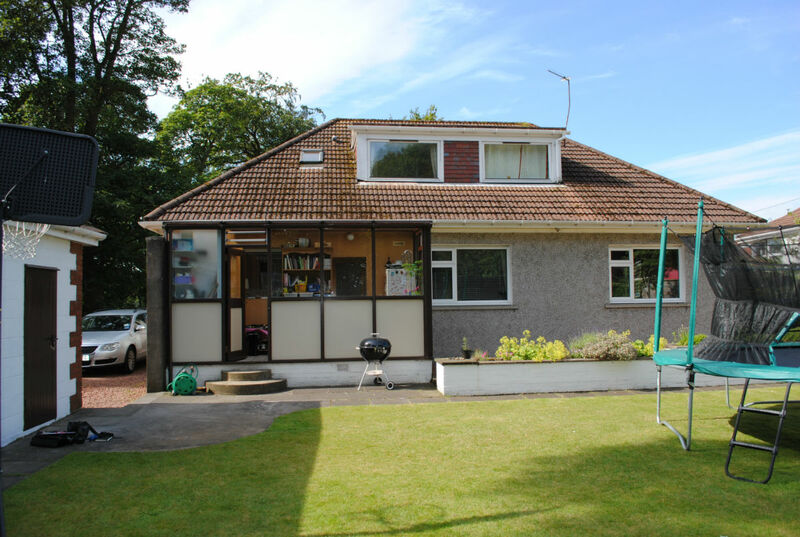 Our first step was to remove the dated, energy-expending conservatory structure which sat on the rear elevation and acted as a utility room. A new utility room was created within the existing kitchen space and connected with the hallway and external driveway via a new access door. This cleared the path for a new bespoke structure across the rear elevation. 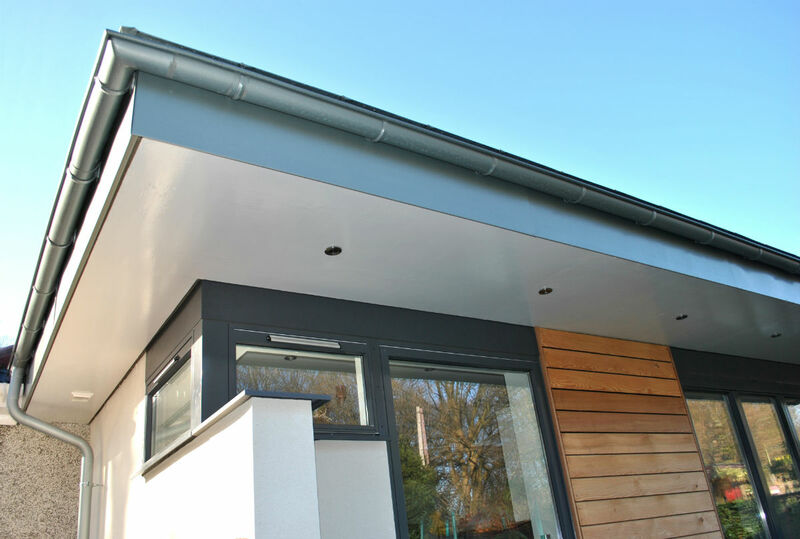 Due to the existing dormer windows at first floor level, we created a low pitched standing-seam zinc roof which extended beyond the wall line to provide the client with a semi-sheltered space to be enjoyed in all seasons. 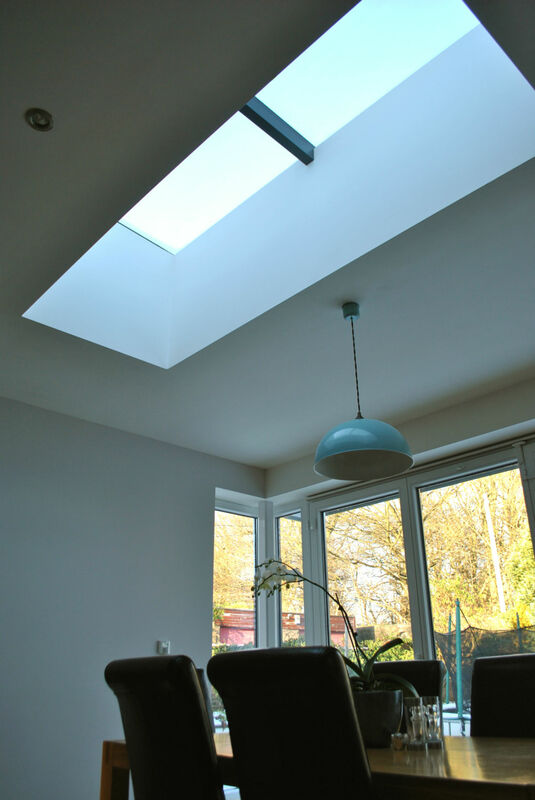 A generous rooflight helps create volume while illuminating the extension from above and ensures natural daylight penetrates deep into the floor plan. 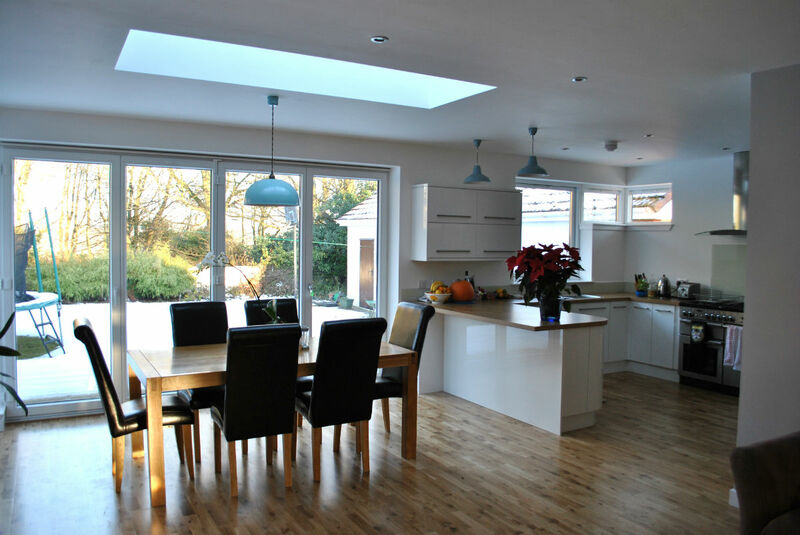 The open-plan family space is created with kitchen and dining subtly sub-divided by worktop and breakfast bar. To the side of the dining space, within the existing footprint, lies the new living space for sofas, tv and general relaxation. These spaces, formerly disconnected and isolated, have now become the social heart of the home; a multipurpose space for modern family living. 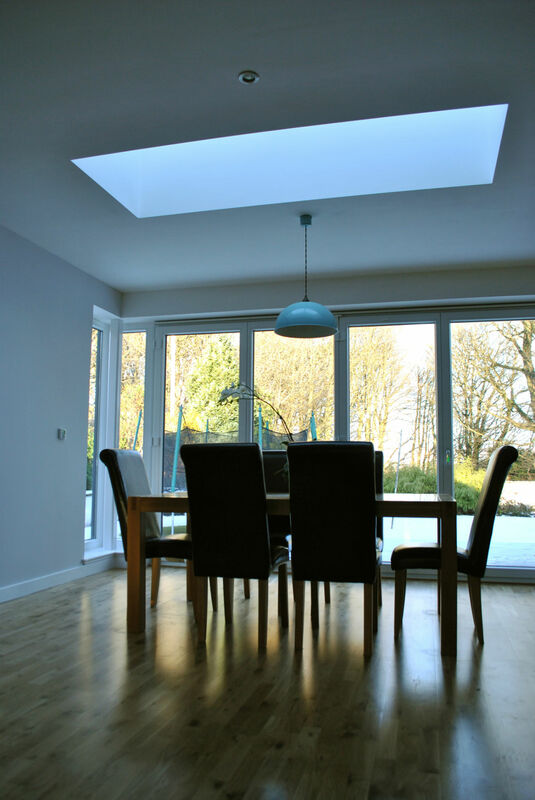 Natural daylight is further provided by generous glazing. Corner windows break down what one would expect to be solid and allows the roof to sail overhead. 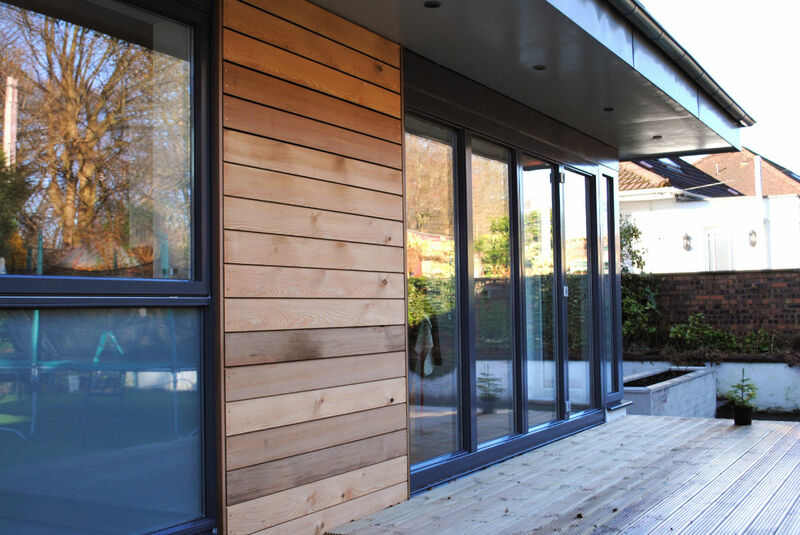 The large bi-folding door can be opened up to truly connect this space with the garden and views beyond. 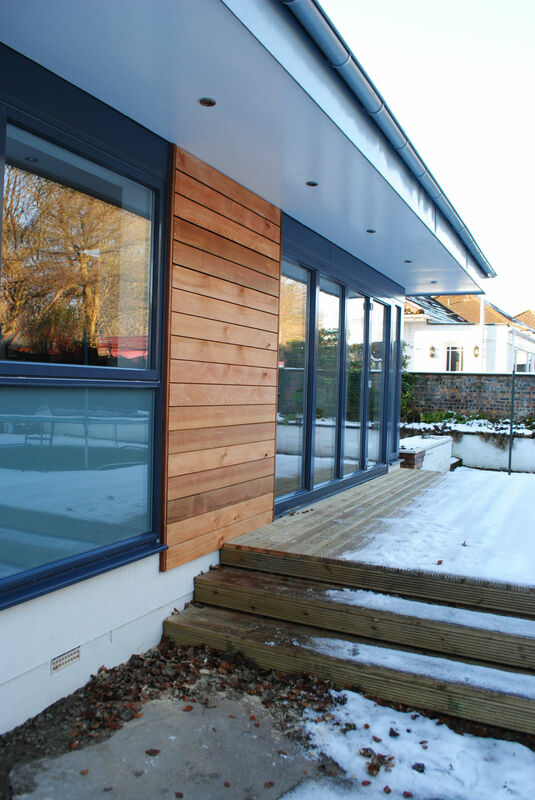 Externally, the building has been designed with a contemporary palette of smooth white render and western-red, open jointed cedar cladding. 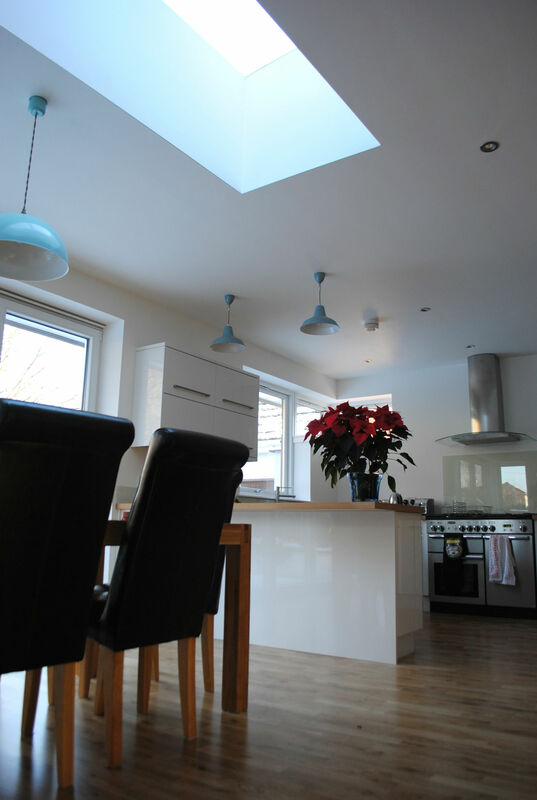 Our client is delighted with the finished product and far exceeds anything they imagined possible.